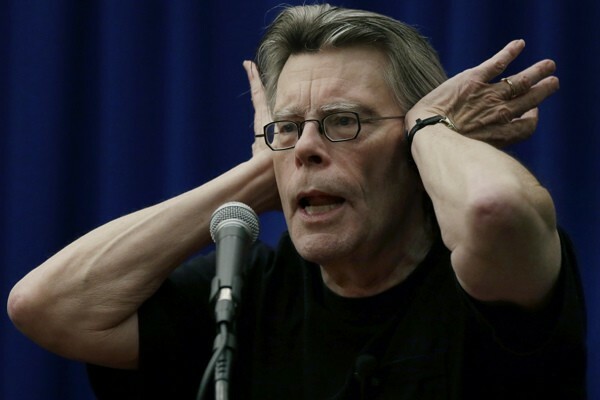 Across his career Stephen Edwin King has churned out over two hundred short stories, which have gone from first featuring in dime store magazines and understated anthologies, all the way to in his own collected works, comics, TV specials and even movies. These inspirational skills writing in the short form have been met with unanimous praise and, like those horror masters before him such as M R James, H.P. Lovecraft and Richard Matheson, King has recognised the success of his short stories and uses the form to continually hone his craft and bring something new to his fans. From the likes of a laundry press, handy shortcut, word processor with other ideas and a heap of toys from a chest, King's knack of taking the seemingly ordinary and turning it into something extraordinary, otherworldly or just plain terrifying has spawned some terrific stories. But, as the great man himself will tell you in interviews and the end notes to his own books, the short story isn't just a passion of his, it was also his cab ride into the writing game, where he lived hand to mouth on paychecks provided by those that would print his tales. Now a best-selling international writer, King's affection for the format remains, with his recent story, That Bus Is Another World, featuring in Esquire only last August. In this spooky feature, focus is given to the lucky thirteen tales that deserve recognition, the ones that brim with thrills, chills and bloodletting, where necessary of course. So, dim the lights, gently fire up an oil lamp and prepare to be scared all over again. Shaun is a former contributor for a number of Future Publishing titles and more recently worked as a staffer at Imagine Publishing. He can now be found banking in the daytime and writing a variety of articles for What Culture, namely around his favourite topics of film, retro gaming, music, TV and, when he's feeling clever, literature.